"A most moving and memorable theater experience." 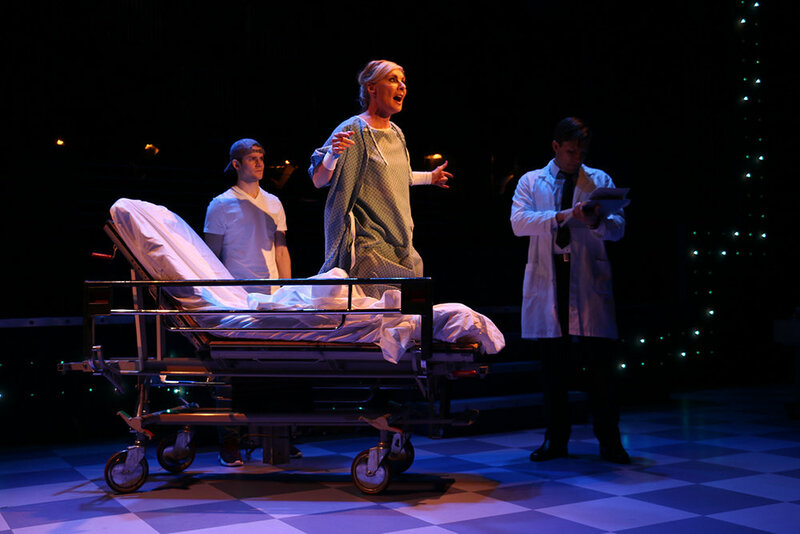 "Next To Normal delivers an evening of gripping contemporary musical theatre." "Next To Normal is the best you can get!" P.J. Griffith* (Dr. Madden, Dr. Fine) Broadway: American Idiot (St. Jimmy). Off Broadway: Giant at The Public (Jett Rink); Sleep No More, Romeo & Juliet at La Mama; Scythe Of Time, Georama and But I'm A Cheerleader @ NYMF. First National Tours: We Will Rock You and Mamma Mia! Regional: Assassins at Yale Rep, World Premiere of Georama at Repertory Theater of St. Louis, the Donmar Warehouse/Mark Taper Forum Revival of Parade, Rent at Musical Theatre West, Giant at DTC, the LA Revival of The Who's TOMMY, the World Premiere of Setup and Punch at The Blank Theater (for which he received the 2010 LA Drama Critics Circle Award) and MacBeth at LATC. Film & TV: “Blue Bloods,” “Jessica Jones,” “Gotham,” “Modern Love,” “The Good Wife,” “The Mysteries of Laura,” The Dark Knight Rises, “Without A Trace,” “House MD,” “Easter Mysteries.” Graduate of NYU's Tisch School of The Arts. For Gallina. Eric Kunze* (Dan) Broadway: Marius in Les Misérables, Chris in Miss Saigon and as Joe Hardy (opposite Jerry Lewis) in Damn Yankees. Kunze has appeared in the title role in Joseph and the Amazing Technicolor Dreamcoat (IRNE award), as Che in Evita (LA Ovation nomination) and South Pacific. 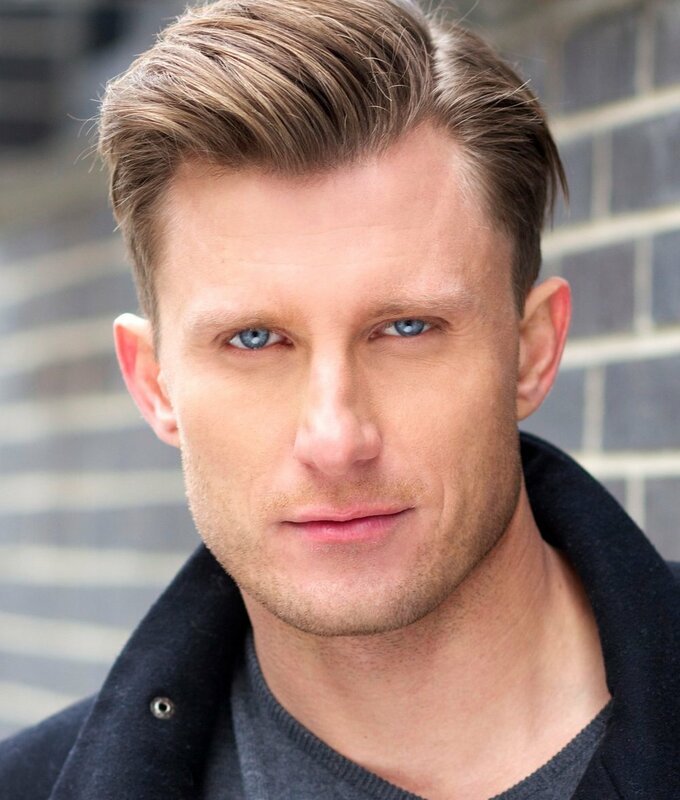 He was most recently seen as Sam Carmichael in Riverside Theatre’s production of Mamma Mia, Prince Eric in The Little Mermaid, and Captain Phoebus in the The Hunchback of Notre Dame. He recently reunited with Lea Salonga as Bruce Bechdel in the international premiere of Fun Home in Manila. He starred as The Man in the national touring company of Whistle Down the Wind for which he won an IRNE Award for best actor in a musical, and appeared as the title character in the national tour of Jesus Christ Superstar (with Carl Anderson). Orchestral appearances include national and international performances with “Do You Hear the People Sing,” including Carnegie Hall for the New York Pops, “Music of the Night” at the Kennedy Center in Washington D.C.; and soloist with the Vancouver Symphony, Detroit Symphony and the Cincinnati Pops. His CD, My Collection, is available on Amazon, iTunes and www.erickunze.com. Patrick Mobley (Gabe) is excited to be making his Riverside Theatre debut! BFA Elon University. Previous credits include: Laurie Lawrence (Little Women), Chad (All Shook Up), Doody (Grease), Young Soldier (Parade), Mike (Moonchildren). All the love and thanks to his family, Julie, Wojcik/Seay, and DGRW. Clay Singer* (Henry) is thrilled to make his Riverside Theater debut with the company of Next To Normal. He recently made his Off-Broadway debut in Single Rider at the Players Theater. Some of his favorite credits include: Man of La Mancha (Duke), Ragtime (Tateh) and Oklahoma! (Curly). He holds a BFA from Carnegie Mellon University and a certificate in classical acting from the London Academy of Music and Dramatic Arts. Big thanks to Riverside Theater, Wojcik Seay Casting, Bloc and Robert for the opportunity to work on a dream role!